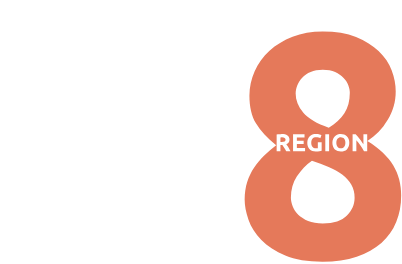 The effective response is at the center of what the Kennedy Center American College Theatre Festival is all about. Make sure the director knows when you’ll be coming to respond to the work. If you’re not familiar with the script or genre/style of the piece, do a bit of homework (research) in advance of the performance. Be courteous during the performance and response. Do no harm. Respond to what the director and production are trying to accomplish; do not attempt to re-direct the show or give director’s notes. A response should be longer than ten (10) minutes and no longer than one (1) hour. The institution has paid for and expects a substantive and thoughtful response. Complete the Response Report form, including a brief description of the merits and challenges of the production within three (3) to four (4) days of seeing the show. The producing school is reminded that the Regional Selection Team will expect to see the same show, in broad terms, which they saw in your season, if chosen, and the National Selection Team will expect to see the same show, in broad terms, which they saw at your regional festival, if chosen. We also understand that changes, especially in the case of new work, can be an important and necessary part of the educational and artistic growth of the students involved. While major aesthetic changes are often suggested or required, they must be carefully considered. Unfortunately, some changes (such as casting, design, text, running time, etc.) may render the production unsuitable for inclusion at the regional or national festival. Therefore, once a participating production has received a response, any planned significant changes must immediately be brought to the attention of the Regional Chair (or, in the case of the national festival, the KCACTF Artistic Director). The decision concerning whether or not a production with significant changes will be allowed to participate in the Regional or National Festival will be made on a case-by-case basis by the Regional Chair (or, in the case of the national festival, the KCACTF Artistic Director), in consultation with the Selection Team, Artistic Director and National Chair of KCACTF. Please add kcactf8@gmail.com to your address book. Automatic email confirmations that serve as a receipt for your submission oftentimes go into “Junk Mail” folders if this address is not identified as one of your “Contacts”. Please do not use autofill options to enter information.